ASEAN has a current population of more than 640 million and by 2030, 90 million people are expected to urbanise. “Middleweight” cities between 200,000 and 2 million residents are expected to drive 40% of Southeast Asia’s growth. The forecasted increase in urban population has caused governments to prioritise the upgrading of current infrastructure and expand city operation capacity, while mitigating problems brought about by urbanisation. As one of the focuses in the region, smart city developments have the potential to create a sustainable and progressive economy. While technology cannot substitute planning, it can aid the operation of cities. Governments across the region are looking towards smart solutions to further develop policies and initiatives, as well as to enhance the efficiency of cities. The ASEAN Smart Cities Network Initiative was proposed by Singapore during the 31st ASEAN Summit in November 2017. Currently, there are 26 pilot cities nominated, with action plans developed. 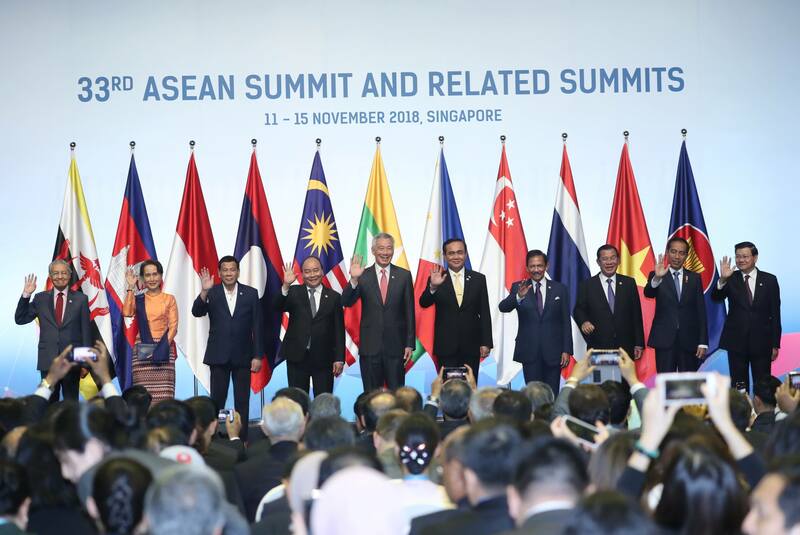 At the 33rd ASEAN Summit, Prime Minister Lee Hsien Loong announced that ASEAN has adopted the ASEAN Smart Cities Framework, which serves as a non-binding guide for the development of smart cities in the region. Dynamic and Adaptive Urban Governance – engaging diverse stakeholders in decision making and oversight of how the city plans and manage its resources. Integrated Master Planning and Development – long-term plans and blueprints for the sustainable development of smart cities. Beyond technology, the centre of smart city planning is people. It involves connecting citizens, businesses and governments to create new opportunities and improve capabilities. Government engagement with the general public is important to ensure community acceptance of its smart city goals. Singapore is an apt example of people-centric developments. Launched in 2014 by Prime Minister Lee Hsien Loong, the Smart Nation initiative has achieved significant progress with people-centric development projects. The Digital Identity project aims to create a secure system for singapore residents that enables convenient digital transactions among the Government and private sector. It will be operational in 2020. Other projects include multiple app launches such as the “Moments of Life” family app that serves as a digital platform that connects families with young children to related services; and the Singpass mobile app that provides citizens with convenient and secure access to government services. Both apps were launched in 2018. Vietnam is testing out smart solutions in populated areas such as Ho Chi Minh City (HCMC) and Hanoi. Currently, Hanoi has introduced the iParking app as part of its urban transportation plan and is moving to integrate 2,700 schools and universities into an online system where school reports and enrolment data can be easily accessed online. HCMC has implemented a smart city model for its plans to transform the city from 2017-2020 with a vision for 2025. Under the model, it has rolled out a digital system that simplified administrative procedures and allowed online status tracking for citizens. The system is expected to be used as the official administrative portal in HCMC by 2020 with a total investment of US$170 million to be pumped in. In the Philippines, the Technology for Education, Employment, Entrepreneurs, and Economic Development (Tech4ED) project is a nationwide digital inclusion initiative to provide e-government services and ICT-related services to communities with minimal or no access to such services. Furthermore, the Department of Information and Communications Technology (DICT) has allocated US$34 million budget to increase Wi-Fi hotspots in the country. By 2020, around 100,000 sites across the country are set to have Wi-Fi access. The amalgamation of these initiatives bridges the digital divide in the country. Indonesia, in particular, stands out among the countries for their citizen engagement. Apart from BERiDE, a platform for citizens to convey their ideas for smart city development, Jakarta also has Qlue, an application to manage complaints. These will complement each other in transforming citizen feedbacks into actionable insights. Such information, together with those from social networks and government services, will be aggregated into a big data hub. It will be analysed using predictive modelling and sentiment analysis to aid more efficient policy decisions. The Heads of ASEAN Power Utilities/Authorities (HAPUA) stated its commitment in enhancing power reliability and quality by utilizing Smart Grid technologies to modernize electrical systems in ASEAN Member States as part of its council statement. The committee urged for the development of an ASEAN Smart Grid Roadmap to ensure standardised policies and metering systems amongst member states. Smart grid technologies have been on the agendas of individual ASEAN countries in recent years owing to increasing needs for efficient energy management alongside aging equipment and systems. Thailand seeks to facilitate environmentally friendly economic growth to allow sustainable developments for the future. As part of the Thailand 4.0 Initiative which aims to elevate the country into a digital economy, Thailand’s National Energy Policy Council approved a national smart grid plan which aims to enhance the reliability of the country’s electrical grids. Under the plan, state-owned utilities will invest US$6.1 billion between 2017 and 2036 to implement smart grid projects. Smart grids will also enable energy efficiency for IoT devices and networks which is a key pillar in Thailand’s 100 smart cities plan between 2017-2036 and overall digital transformation of the country. Philippines is also implementing smart grid systems across the country. Given the country’s geography, it is tough to maintain a stable and secure power supply. The National Electrification Administration (NEA) of the Philippines has partnered up with the Japan International Cooperation Agency (JICA) and Tokyo Electric Power Company (TEPCO) to launch smart grid technology and improve the country’s energy system’s reliability and resilience. The technology will have a 2 year pilot test, starting the 4th quarter of 2018, in Batangas province in cooperation with the Batangas II EC. Tourism is one of ASEAN’s most important industry. The sector contributed 12% to the region’s GDP in 2017 and is forecasted to grow 5.8% in 2018. However, unsustainable tourism operations and pollution have degraded the environment of popular sites significantly, leading to urgent actions for preservation of the destinations for future generations. An example being the 6 month closure of the famous Boracay beaches in 2018 for rehabilitation purposes. ASEAN members are now looking to integrate smart solutions into tourist destinations to ensure environmental sustainability. One of ASEAN’s most famous holiday destinations, Phuket’s current challenge is its constant influx of tourists which is unsustainable in the long-run. The central government has funded Phuket’s smart city development with US$13 million endowment, and will potentially fund US$30 million more as the project expands. Touted as the first smart city in Thailand, the government has been utilising big data analytics to study and enhance tourism delivery services. To improve local services, the city rolled out the Smart Phuket App. It allows users to access an aggregate of city information, such as emergency contacts, updates on news and emergency alerts on adverse weather conditions in the area. An e-payment gateway is also connected to the application to facilitate food purchases and hotel reservations. To enhance public safety, Phuket uses around 3,000 CCTV cameras with facial recognition technology. As part of a system linked to police criminal facial records, these cameras will alert the authorities when there is a match. Other efforts include installing 1,000 free WiFi hotspots and licence plate recognition system to map out population density and tourist movements. Indonesia’s Tourism Ministry has set out to digitalise 100 tourist destinations across the country. There will be the establishment of a tourism database that is globally accessible and will contain information on activities and characteristics of each destination. This form of digital tourism encourages sustainability by sharing the value of the local environment. It also provides another channel for preservation of the location through social media where management can detect areas in need of maintenance via feeds from visitors. The plan will also utilize big data analytics to detect trends amongst tourist behaviour such as which areas are more popular with different groups of tourists. In a bid to attract more international visitors, the ministry has also partnered up with Grab to launch a smart tourism project via the Grab app. Introduced in October 2018, the Wonderful Indonesia campaign, which has a US$1 billion valuation, aims to value-add to a tourist’s experience. The partnership aims to promote the tourism sector and benefit local communities and micro-entrepreneurs in a sustainable manner. Additional incentives such as cheaper rental rates of cars, drivers that are trained to be tour guides and a Grab Chat function to act as a translator for tourists will be implemented as well. As the urban population continues to grow, it is important for governments to engage diverse stakeholders ranging from the private sector to citizens. Comprehensive sharing of knowledge enables adaptive approaches to governance and better management of resources when formulating long-term plans for sustainable development of Smart cities. Share your thoughts with key stakeholders and gain further insights on the smart city strategies and initiatives in ASEAN at the Asia IoT Business Platform 2019. Drop us a note at info@industry-platform.com or learn more at http://iotbusiness-platform.com/register/ to be part of this enterprise digital transformation conversation in ASEAN.